Hybrid Construction, Division of Wilmot Modular Structures, offers a new building strategy for owners that minimizes construction time, decreases budget and is environmentally friendly. Wilmot Modular Structures, Inc., a distributor of temporary and permanent modular buildings, today announced the launch of Hybrid Construction Services, a new division that uses accelerated building methods to help customers build their facilities faster and greener. The new SmartMarket Report by McGraw Hill Construction, Prefabrication and Modularization: Increasing Productivity in the Construction Industry, supports that claim and reports that in addition to project schedules being decreased with off-site construction methods, 65% of contractors report that project budgets are also decreased (41% by 6% or more) and 77% report that construction site waste is decreased (44% by 5% or more). 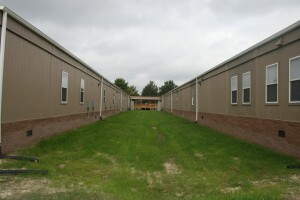 • Site Service Packages for customers seeking a turnkey solution to their space needs. Hybrid’s team has designed and installed modular buildings all over the world that have been used for healthcare buildings, dormitories, assisted living centers, schools, multi-family dwellings and many other applications needed by its clients when time is of the essence. “Wilmot is excited about introducing Hybrid and being a leader in what many are viewing as the new renaissance of prefabrication for the construction industry,” says Kathy Wilmot, Vice President of Wilmot Modular Structures, Inc.
More information on Wilmot Modular Structures and its Hybrid Division can be found at www.wilmotmodular.com.